Life went on, and I now have two kids, a different job, different house, but luckily the same cell phone and email address! Fast-forward a couple of weeks, I stayed in touch by email and was about to connect her with a potential buyer when she offered to give me the car if I were to fix it up myself and not scrap it ! Needless to say, I accepted her offer and picked it up yesterday. 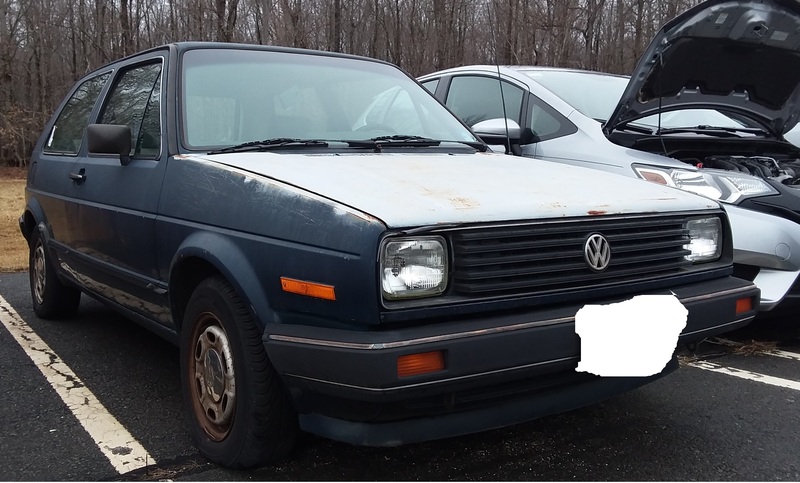 It's a 1985 Golf and appears to be a base model: 5-speed, no power steering, no sunroof, 13" steel wheels, and no front door speakers... It does have AC though. It came from Texas, but spent the last ~20 years in NJ and had a paintjob at some point. Last edited by Jettaboy1884; 03-08-2019 at 06:58 PM. That's a great story! I love how she trusts you to not part the car out. Hopefully you can find the time to get it back into good shape. I know the feeling of having a car be given to you by someone out of goodwill and trust that you'll do right by it. In my case it was in much much better condition, but over the 19 years I've had it, I've sunk thousands into it and can't part with it due to sentimental value. That’s a great story and yeah, I’d love one just like it. Do you have a game plan yet? GTI light? Period correct mods? Bone stock restoration? Stop the rust and preserve it as is? Glad to see one of these still around. I had a similar car 20 years ago (4-door, silver over grey, no A/C). I miss its fun and simplicity. Very cool. Rust doesn't look horrible from the pics. The worst rust I always found on MK2 cars was under the factory undercoating on the bottom of the car. Make sure you check out the bottom, maybe take out the interior for cleaning and give a good look at the floor pans. Thanks! Yes, it's going to be a project but I'm committed to bringing it back. Thankfully, I do have time and space for it. As I've gotten older and busy with work & family, I have learned the benefit of having more time to plan and research. 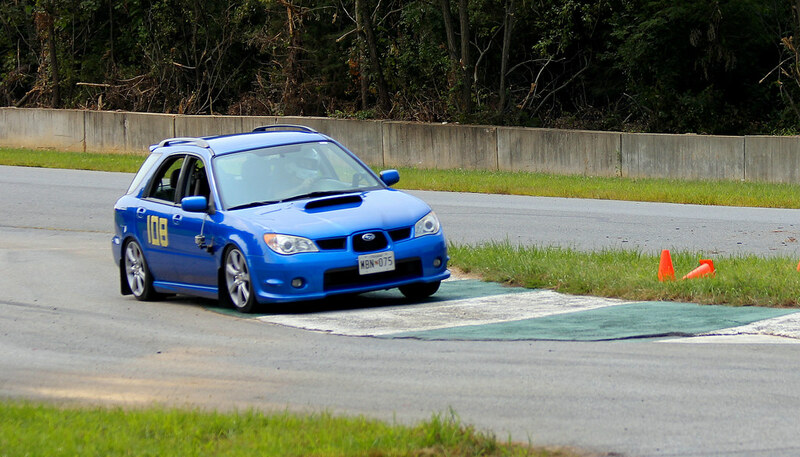 When I was younger I had a habit of tearing into cars too far and losing interest. 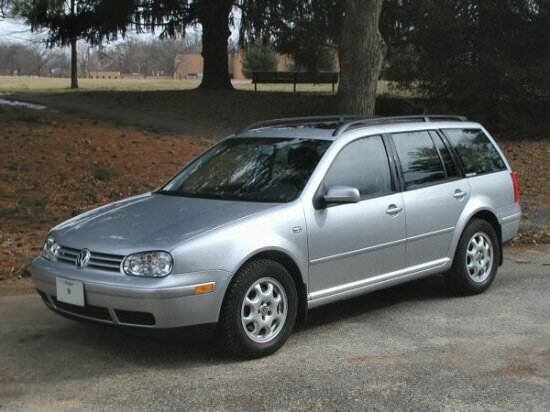 It's better that I got this car now, and not ten years ago. 1. Get the engine running. I'm told it ran well when parked in the Fall. It cranks over and has spark, but I am not getting fuel to the distributor. I hear the fuel pumps, and am hoping the issue is frozen fuel lines as the weather has barely gotten above freezing recently and the car was sitting for several months. 2. Once the weather breaks, I'll do a deep clean on the interior & exterior to see what I'm working with and ID missing trim pieces, etc. to buy. I peeled back the driver seat cover and see it's trashed underneath, so I'll be on the lookout for seats. 3. Tune up engine, change oil, trans fluid, Seafoam, new filters, etc. 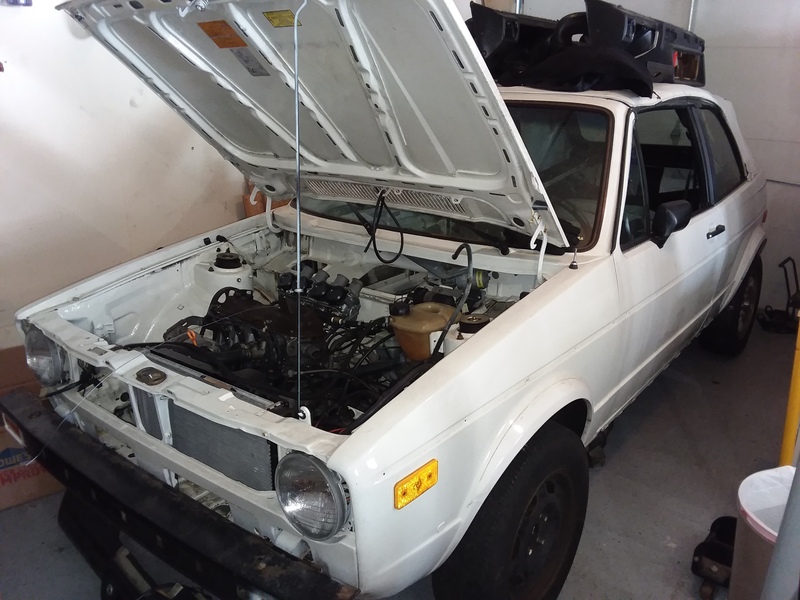 Evaluate whether I'm keeping the CIS or using a bike carb setup that I built for my Cabriolet. 4. 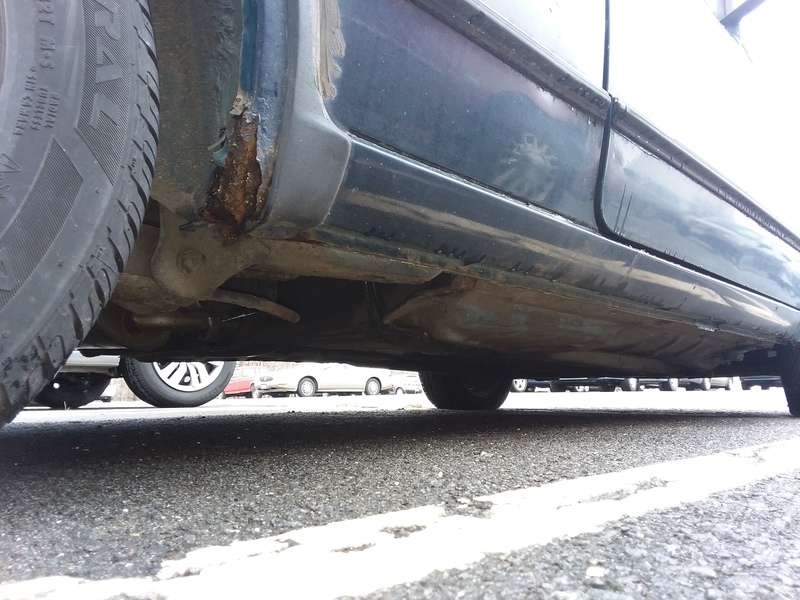 Dig into the rust spots, clean them out and figure out what I can repair, or shop out to a professional. Ideally, I'd like to make the car look nice enough to drive around this summer and not look so rough. I might do a quick rattlecan paintjob. I do want to go with a "GTI Light" on performance and upgrades, I'm not into slamming these cars. Suspension, brakes, wheels/tires, exhaust, will all get upgraded as funds permit. I've always been a naturally aspirated 8v guy and have a couple of ABA motors laying around. On initial inspection it seems the floors and seams are pretty solid. 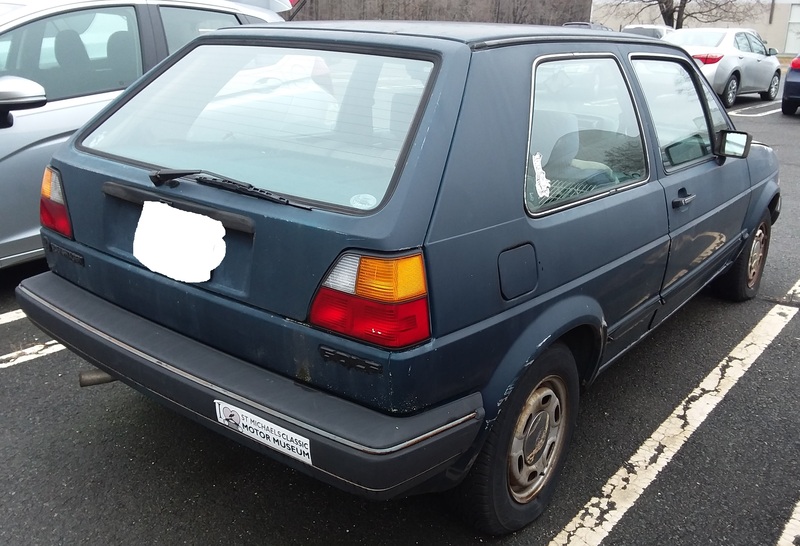 But yes, I know that pulling back the carpet on any Mk2 can be very revealing. I’m a little nervous to do so, but will have to check it out. I was happy to see that the strut towers and suspension mounting points all seem to be in good shape. 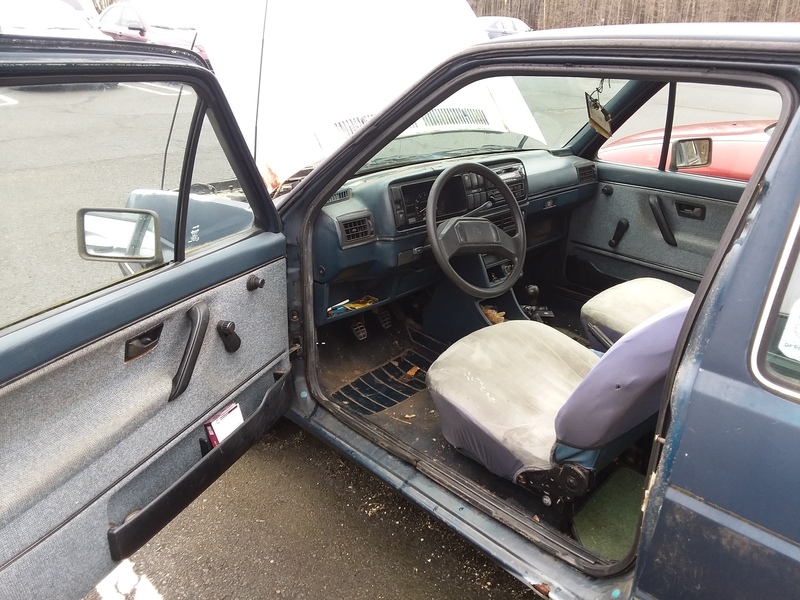 Looking at a few other Mk2 threads, it seems the floor pans are available, which is reassuring. I don’t want to have to do a lot of rust repair, but will do what it takes to make the car solid. Sounds like you have a good plan. Also love that I am not the only one storing stuff on my Cabbys soft top. From one recent free car recipient to another, congratulations! I look forward to following your progress with this new family member. Ha! I was thinking of your project when I read about this one, too! I’m looking forward to the progress on both. I like the Golf plan. I’m looking forward to videos with sound to hear the glorious carb intake noise. Nice story. That should fix up rather well. 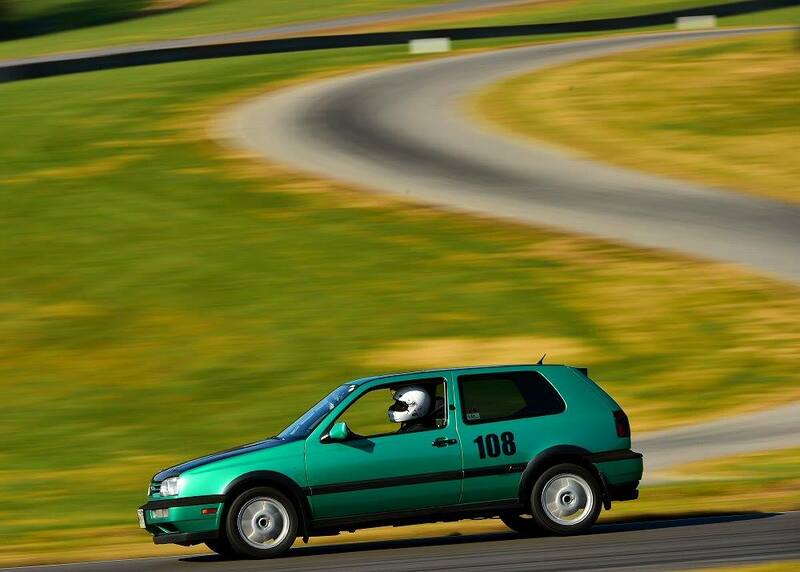 I love mark 2 Golfs. I had one until a cell phone user in a huge Buick rear-ended me. Question. 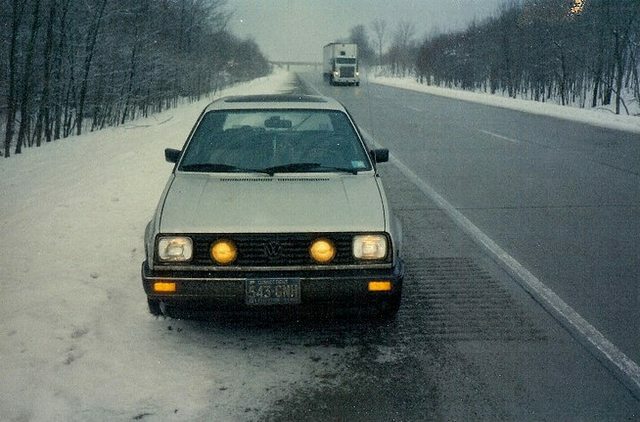 As I recall the standard engines on the '85 Golfs were diesel. I worked at an Audi dealership at the time. Is this a senior moment or was that the case? Thanks, I saw your thread recently and that's an amazing story! Very cool car, and glad to see it's with the right person. I don't think the standard base engine was ever a diesel, though they were common. Mine has the Gas 1.8L 8v. I haven't cleaned off the code yet, but not being a GTI it will likely be a low compression version with the smaller intake/exhaust valves. If you want to replace the beat up wheels, I've got a set of 13" steel wheels in my garage you can have! I'm looking forward to seeing how the restoration goes. I learned to drive in one of these and spent a few years using it after. Great little car. Ours was a 1.6 NA diesel, didn't have a lot of torque, but wasn't too thirsty and reliably got us around. Built like a tank. Quite amused to learn AC was an option on these. Ours was a 1985 model. Last edited by Zembla; 03-11-2019 at 11:58 AM. Reason: Apparently it was a 1.6 not a 1.7 diesel. That is awesome, looks like a fun project. 13s? My Mk. I 1983 Rabbit L came with 13-inch wheels that look like those. 155/80R-13 tires. It was $100 out-the-door with a great set of all-season Gislaved tires in the 1980s. The damn little clips that go on the wheels to pop the center caps on keep breaking. Expected that it was some museum that closed 30 years ago. That brings back memories. 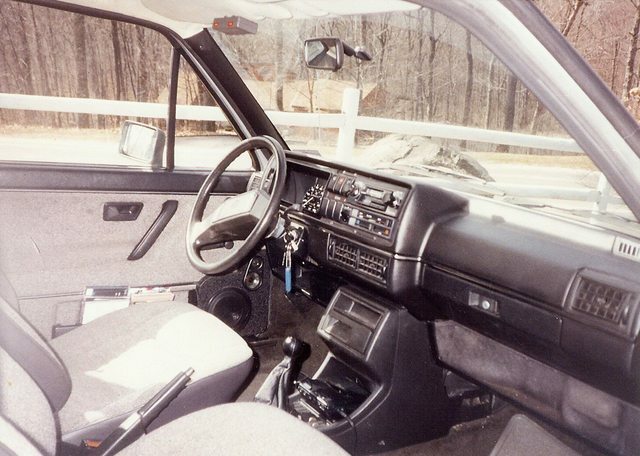 1985 Golf. No Trim Level Edition. Bomb proof Brazilian steel wheels. The 13's were 175/70R13. 205/60R13's did fit. Mine had no place for door speakers either, but a jigsaw, glue and wrinkle paint took care of that. 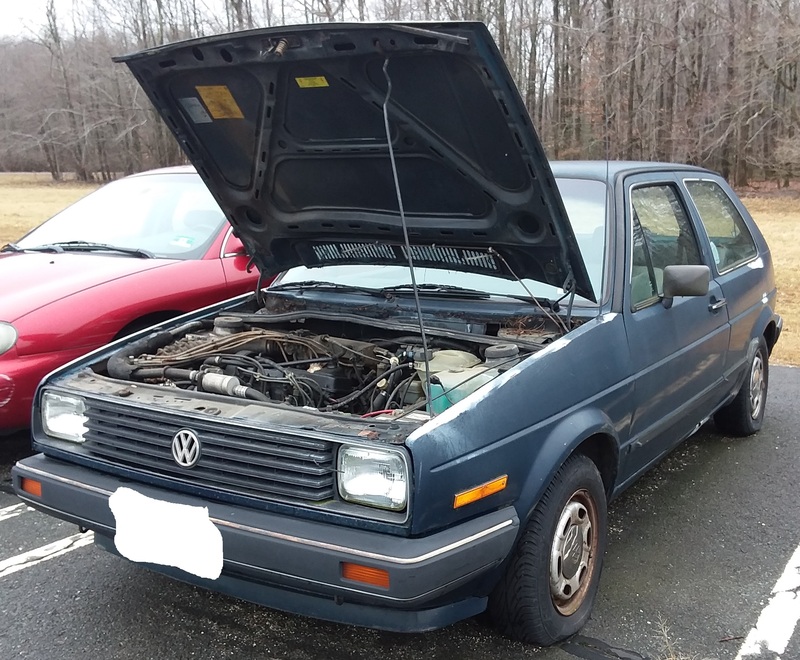 Loved my '83 Rabbit L. No options. 4 speed, 1.7-L engine. Roll-up windows. Rear windows didn't open. No sunroof. No A/C. Had a carb. That comment usually gets folks on here saying I'm wrong. 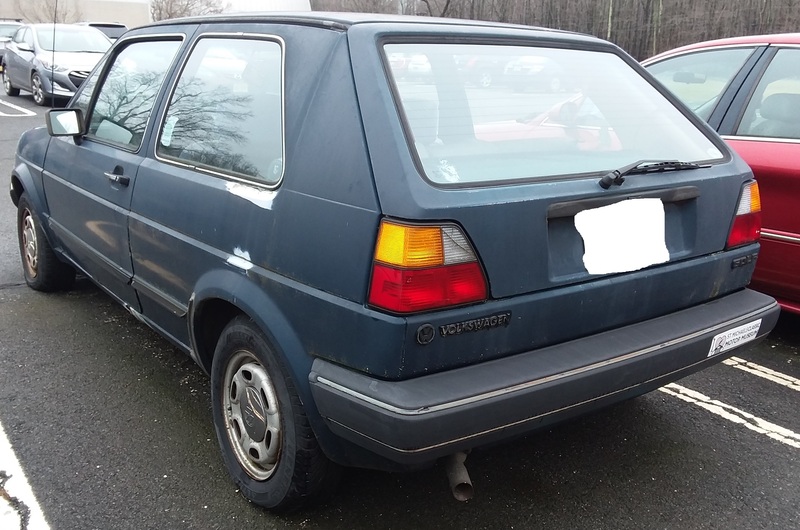 My '87 GTI 16v came with 205/55-14s. Couldn't get those for my last set, so had to go to 185/60-14. Last edited by Cooper; 03-11-2019 at 09:52 AM. They were different than most of the 13's you'll find from that era. I have a side shot of mine with the same wheels as the OP, but I can't find it. 6 slots, and the steel was extremely thick. Same stupid hub covers that fall off if you fart tho. You're not wrong, and it was a Holley!